Davis Instruments Support, FAQs and Troubleshooting - I’ve upgraded my WeatherLink.com 2.0 plan to Pro but I can’t see my station’s data or its location on the map. All Categories ​>​ FAQ ​>​ WeatherLink.com ​>​ I’ve upgraded my WeatherLink.com 2.0 plan to Pro but I can’t see my station’s data or its location on the map. I’ve upgraded my WeatherLink.com 2.0 plan to Pro but I can’t see my station’s data or its location on the map. If you own a Davis station and you registered your device on weatherlink.com before Nov 28th 2017, your data and station are still registered on WeatherLink.com 1.0 (the “blue” page). All WL 1.0 users and their devices will be migrated to WL 2.0 in Spring 2018. 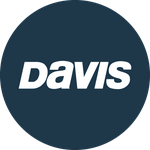 Please, reach out to our customer support to help you fix the situation at sales@davisinstrument.com or 800-678-3669 (US and Canada) and 510-732-9229 (international). Go to weatherlink.com and log into your WL 2.0 account (the same login credentials as your WL 1.0 account, unless you upgraded to Pro plan using a new account). Click on “Add Device” button in the top right corner. Moving your station to WL 2.0 now would mean that your blue page will go away, and all your friends/followers, that used to check the weather on your blue page (using your URL), will need to create WeatherLink.com 2.0 accounts to keep following your weather data. If you want to have your data also on your smartphone when using WeatherLink 2.0, you need to download new mobile apps. For Android here and iOS here. Your friends can easily add your station to their app homescreen and keep following you mobile as well. I have an USB-or-Serial Data Logger and I’ve not been sharing data on WeatherLink.com 1.0, can I start using the new WeatherLink.com 2.0 and upload my historical data there from my PC?